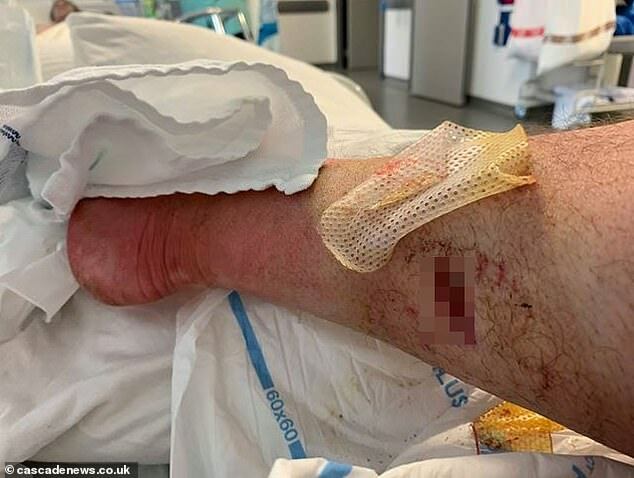 A father suffered horror injuries after being savaged by a pair of Staffordshire bull terriers while visiting a friend. 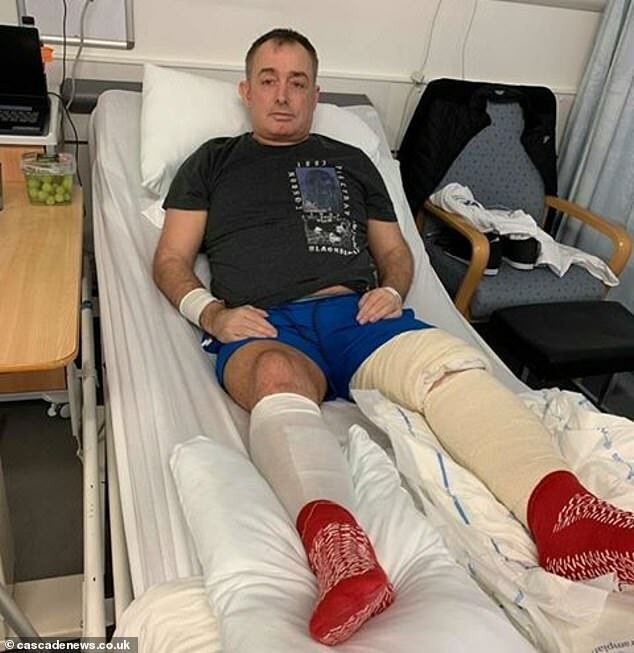 James Nicol mistakenly believed the dogs had been locked away in a bathroom at the flat in Seaton, Aberdeen, but they on him pounced as soon as the 43-year-old walked through the front door, attacking his legs. The events manager escaped by crawling out of the flat and managed to call 999 with an ambulance rushing him to Aberdeen Royal Infirmary. Mr Nicol has been in hospital for 10 days and doctors say he could be permanently disfigured. 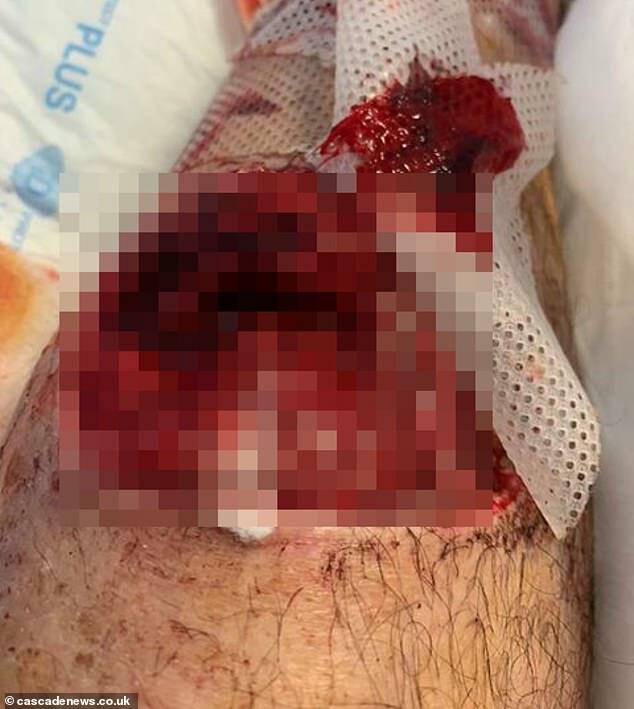 But it is understood police and the dog warden service will not take action because the dogs only attacked when Mr Nicol entered the property without knocking, meaning they are not considered a ‘danger to the public’. Mr Nicol said: ‘They were coming right at me and I had to protect my throat and face, so I grabbed a rug and just covered my face. 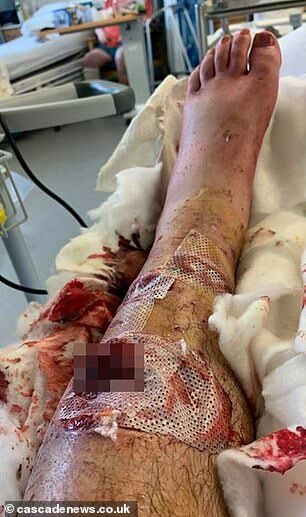 He added: ‘I’ve had to have skin taken off my thigh so it can be grafted onto my legs. 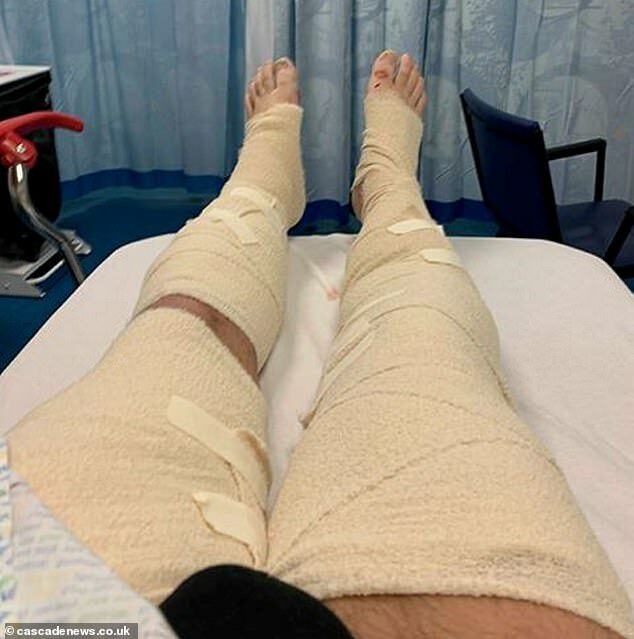 ‘It will be a while before I can even try to put weight on my left leg. I will have to undergo physio. Mr Nicol, who lives at another flat in the same block, said: ‘My friend who lives in a different flat wanted to catch up. I told him I would only come to his flat if the dogs were locked away. Police were told there was a ‘misunderstanding’, as Mr Nicol entered the flat without knocking, thinking the dogs were already locked in a room, while his friend expected him to knock before securing the dogs. Mr Nicol added: ‘I’m just grateful my boy wasn’t with me. He wouldn’t have stood a chance. 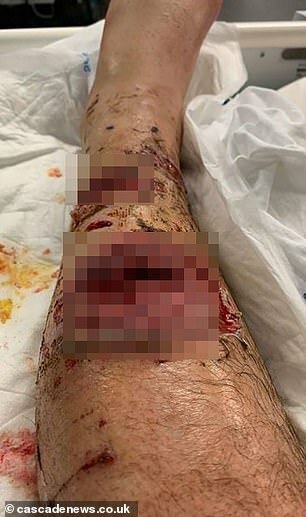 A Police Scotland spokesman said: ‘We got a call at 7.20pm on February 1 regarding a man who had been bitten by a dog.